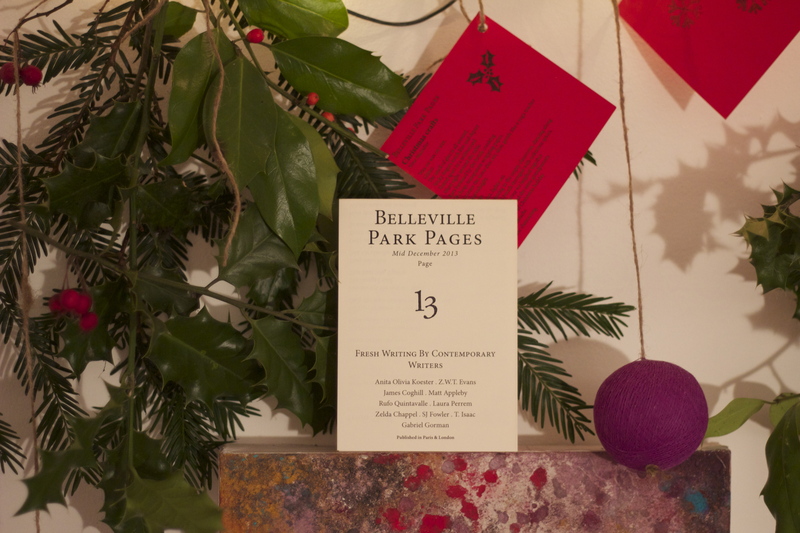 The thirteenth issue of the Belleville Park Pages is now available. Each issue costs €2 (+ an extra €1.50 to get it delivered to you). This issue includes a free Festive Gift. Writers: Anita Olivia Koester, Z.W.T. Evans, James Coghill, Matt Appleby, Rufo Quintavalle, Laura Perrem, Zelda Chappel, SJ Fowler, T. Isaac, Gabriel Gorman.